Faces on live tv are terrible. The farther they are from the camera and the smaller they are. the worse they look. The remote has 4 preassigned buttons which are useless for me. (HULU, Netflix,Sling and Vue). No Amazon. And a skimpy remote. No numbers.It is supposed to be 4K but my old Sony 1080P had a better picture. The legs were a problem because I wanted to put it in an entertainment center which has a framed front. Well, the legs stick out so far in the front that I could not use them. I had to build a false wall inside the cabinet and hang the tv instead. Again, the remote. I would still prefer the old style that has all the buttons and numbers that make it simple to go directly to your selection. The specs say 4 HDMI but there are only 3. It says 120hz refresh rate, but I am not sure. I would have thought the picture would be better with higher refresh rate. There are a lot of things I do not like about the tv, BUT, the price is very good. It was on sale and discounted if you open a Walmart credit card. It was still a good deal for a 60 inch tv. 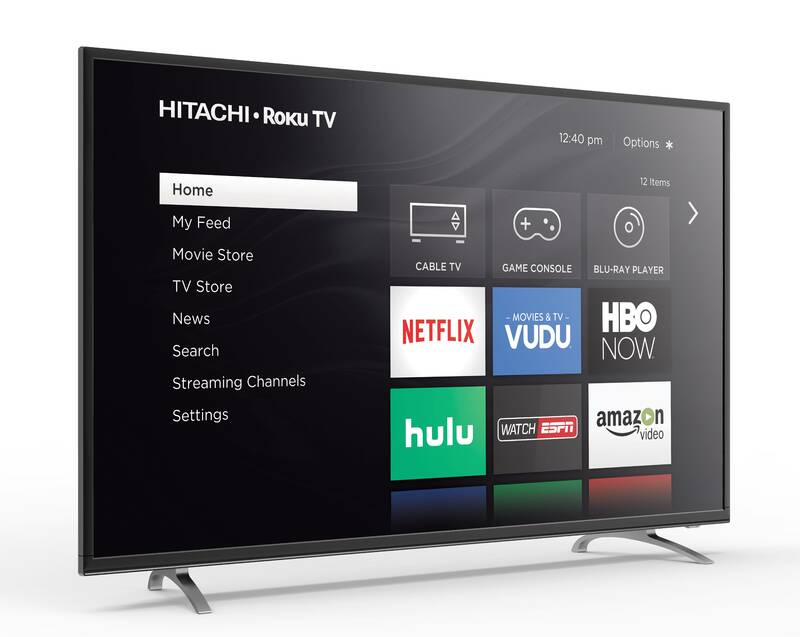 Tbook.com crawls the web to find the best prices and availability on products like Hitachi 60" Class 4K (2160P) Roku Smart LED TV (60RH2). This product is one of the more popular items we list which is why it is in our "hot deals" section. If you have any questions on this product, please give us a call at 734-971-1210 during the hours of 9am - 5pm EST for assistance. Thank you for shopping at Tbook.com, the Internet Department Store!